Dogs which constantly bark become an annoyance and disrupts our home lives. Many pet owners do not know how to address the problem of incessantly barking dogs, and most owners get complaints from neighbors or from strangers who walk in front of your house. Many dog owners face this predicament and are stuck, mainly because their dogs have developed a stubborn and hard to manage behavior that almost seems impossible to correct. Although dogs use barking to communicate, it becomes destructive when dogs use barking to dominate or exercise jealousy and possessiveness. To correct this improper behavior, follow these tips. Assert yourself. 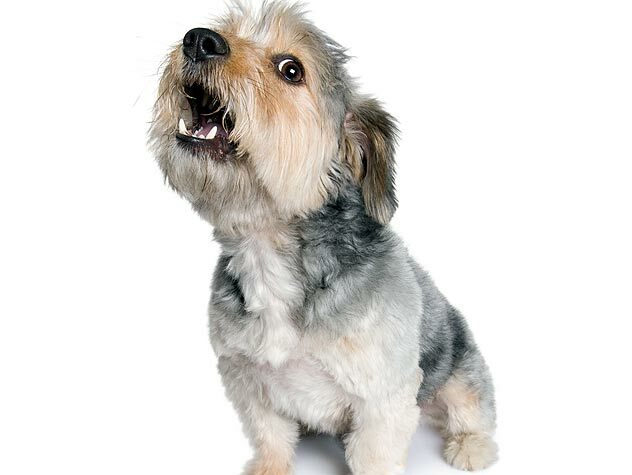 If your dog barks nonstop, it is usually a sign of the owner’s lack of assertion and command over the dog. To correct this, the owner should be calm and assert himself. When the dog starts to bark possessively, use a signal for him to stop. Use a sound or call his name and say an assertive and calm “no”. If he still doesn’t stop stand in front of him till he senses your assertive energy. Do not leave your place until he stops. If you feel agitated and overly irritated, take time to calm yourself down. This is because your dog will mirror this behavior and start feeling agitated as well. Once you are calm, you can start correcting your dog’s bad behavior. Your pet can sense if you are not expressing assertive behavior. This is usually why the dog doesn’t show respect to an owner who cannot practice authority. And this is also why the dog refuses to stop barking when he is told. Remove the motivation. If you know what is causing the nonstop barking, try to remove the cause of the barking. This rule only applies when the cause of the barking is something minor, like a squeaking toy or an annoying stuffed animal. Any other cause that cannot be removed must be part of your dog’s routine and behavior modification is a must. Remain consistent. A dog does not respect an owner who is weak and flaky. This means that you should be consistent with applying your rules of proper dog conduct. If your dog is barking nonstop, then always tell him to stop and assert yourself every time. Do not let him bark sometimes and not at all the next. Focus. If you are not giving your dog the proper focus when correcting him, then your pooch will sense that you do not mean business. Do not multi task when correcting your dog’s behavior. This sounds like you barking like a dog right? When this happens, the dog will not take you seriously because you are not focused on him. The dog will sense that you are not focused on him, and you are not adamant with stopping the bad behavior. Engage Your Dog in More Exercise. Most dogs are agitated because they lack physical activity. Lack of exercise in dogs keep all the energy pent up and thus, the dog’s only way of release is through barking. Have your dog do exercises like walking, running or playing catch in the yard. Dogs should socialize more because they are innate social beings, and if they do not socialize, they feel an imbalance. Other exercises for dogs include swimming and playing with toys. If your dog becomes overtired then he has less energy to bark, and definitely less tense and defensive. Simple obedience games can also be a starting point to correct misdemeanors among dogs. If your dog participates in obedience games, then your pet will learn the value of following your orders and doing as he is told. These games challenge your dogs mentally and physically, which makes your pet more engaged and build a newfound respect for you as the owner. Obedience games can also be used to ask the dog to bark on command. This is so that the dog will understand that not all barking is bad, and that communicating through barking is good too. These obedience games teaches your dog the value of boundaries and how to apply them. Call a Pro. If you have tried many ways to correct your dog’s behavior, and you’re still not getting any response, then it’s time to call a professional. There might be other reasons why the dog is not willing to modify his behavior. Seek a professional to help you analyze the problem, and especially before you take more drastic methods in behavior modification. Any misbehaving dog should still be cared for in the best way possible. After all, you did enter into a commitment to nurture your pet no matter what. Always use grooming services by Petsmart to make sure that you are getting the best service for your pet.